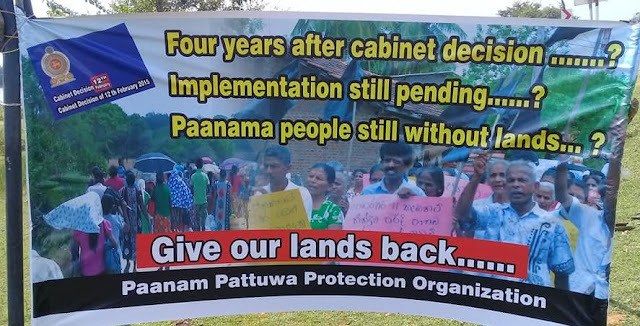 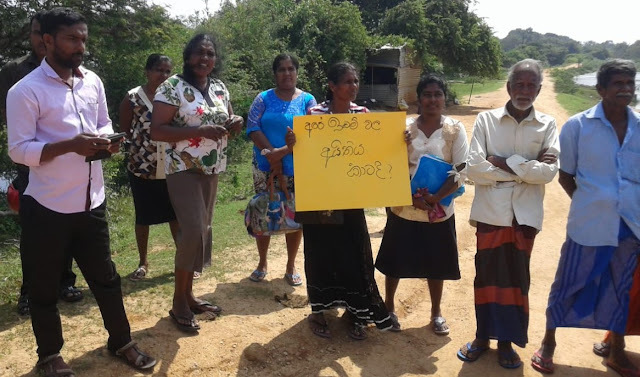 Paanama people organized a protest demanding to implement the cabinet decision which was made on 11.02.2015 related Ragamwela, Paanama land issues. 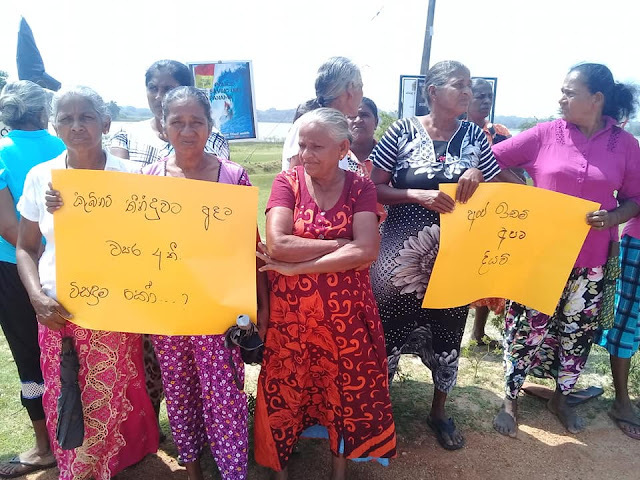 Although there is a cabinet decision in relation to release the particular land, the government has not taken a proper legal action to release the land for the people in Ragamwela until now. The protest was organized by the effected people demanding the land back in the main road of Paanama and Pothuvil. There are around 60 campaigners in the protest. 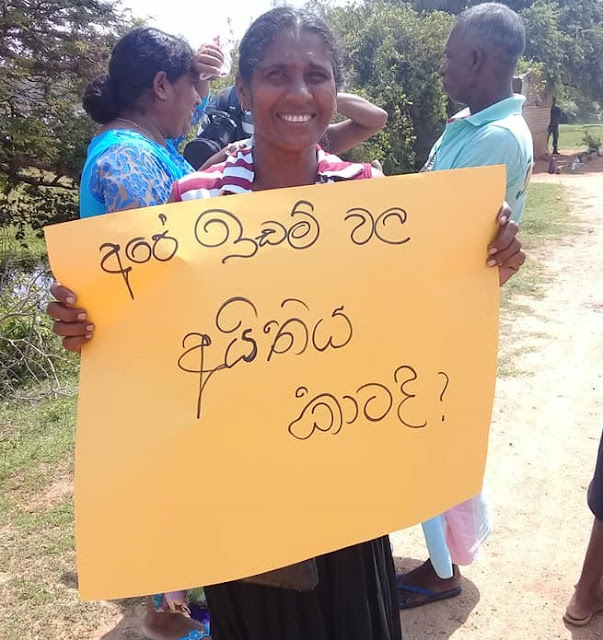 Mr.Francis Raajan, Mr.Nimal Perera. 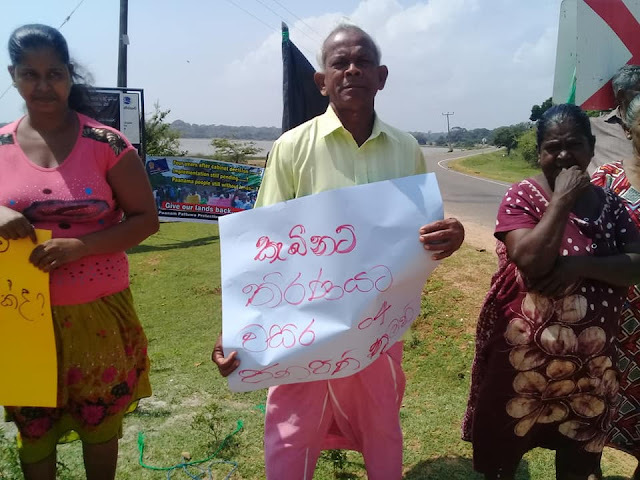 Mr. Gayan Ambegoda, Miss.Lavina Hasanthi participated representing National Fisheries Solidarity Movement in the protest. 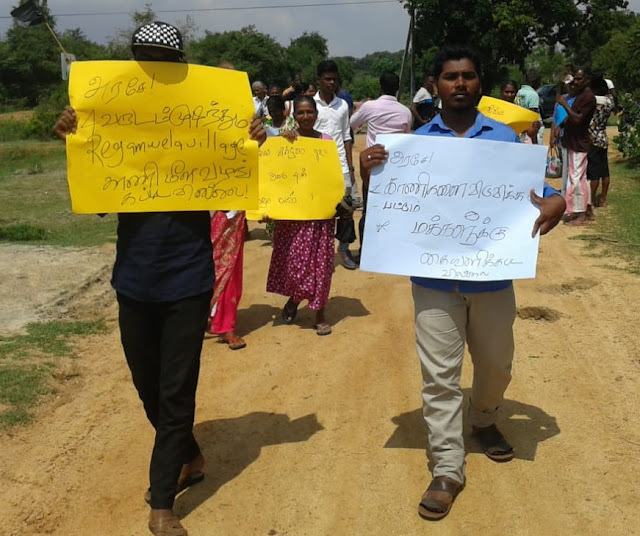 Representatives from Panampaththu Protection Organization, Ampara District Fisheries Solidarity, Civil society organization, Media and community leaders in Ashrof Nagara, Pothuvil and Paanama participated in the protest.